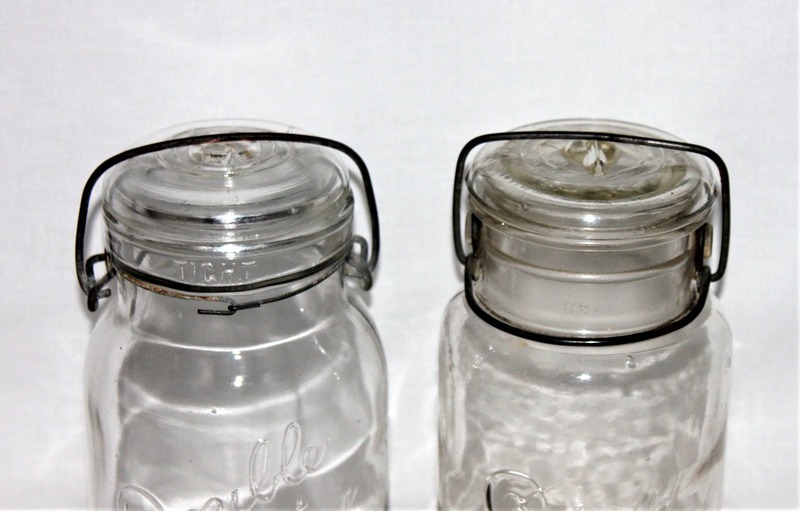 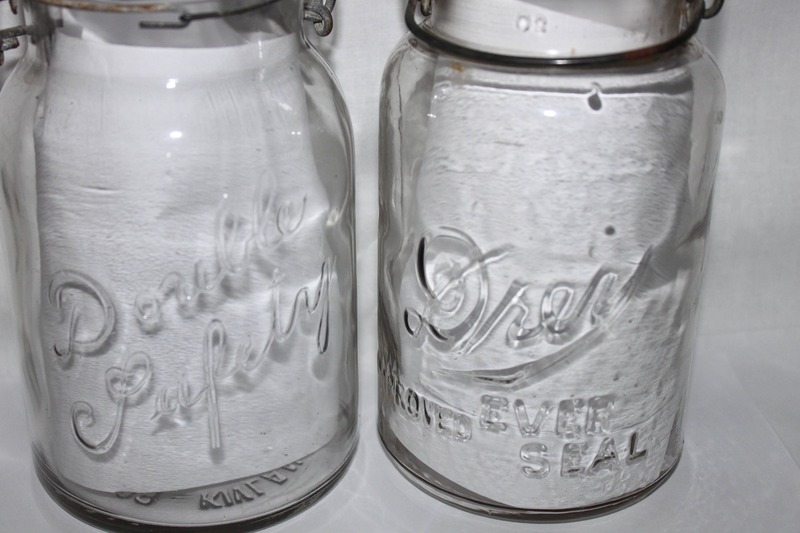 Have you always wanted to collect mason jars these are two wonderful jars to start your collection or add to an existing collection. 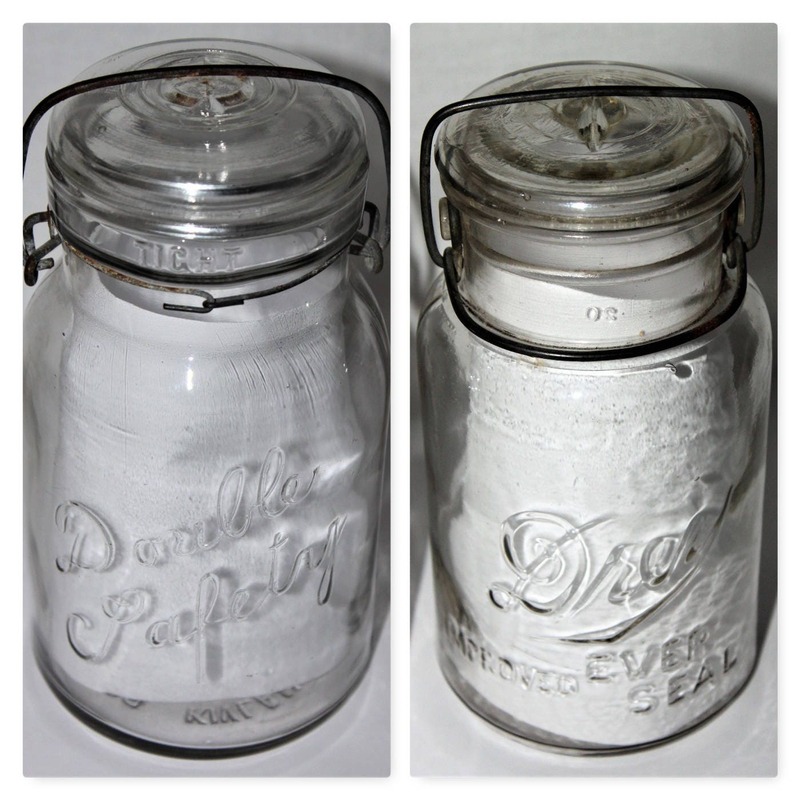 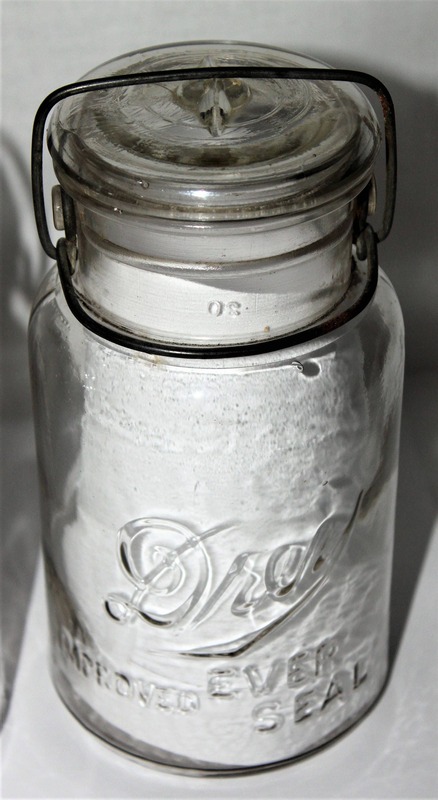 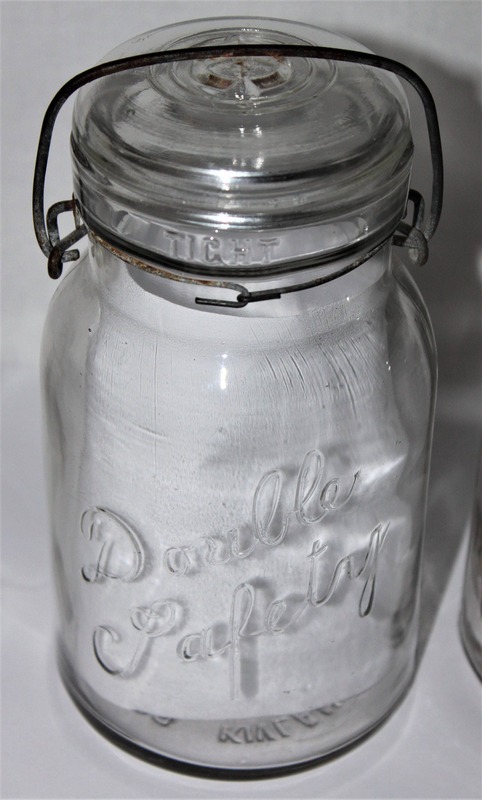 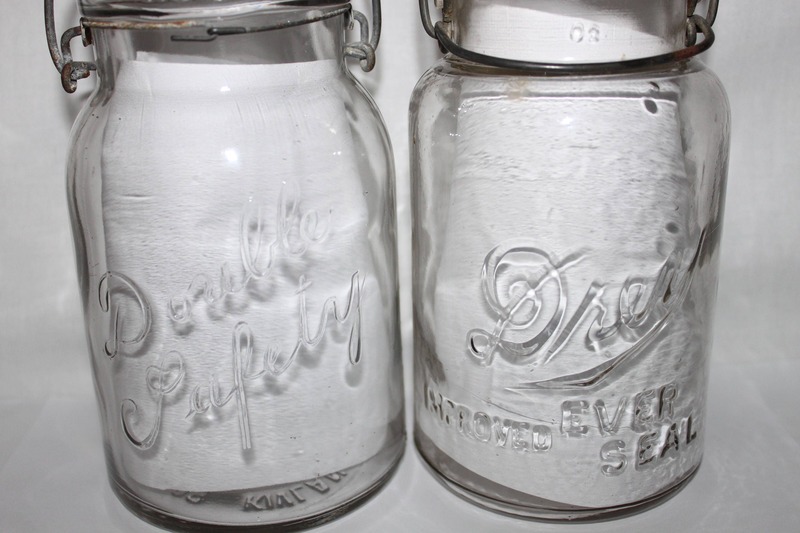 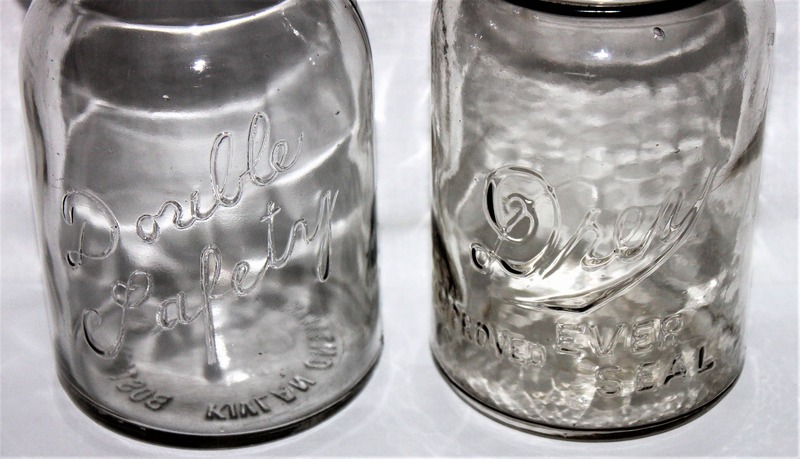 We have one Drey Improved Ever Seal and one Dorible Safety these are both quart size jars from the 1930s era with glass lids and wire bails they are in wonderful condition with no chips or cracks. 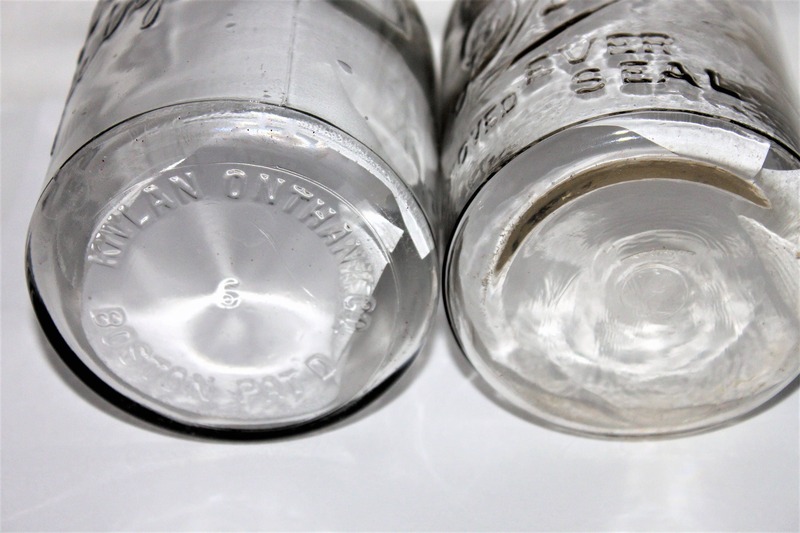 Condition; Very good no chips or cracks.